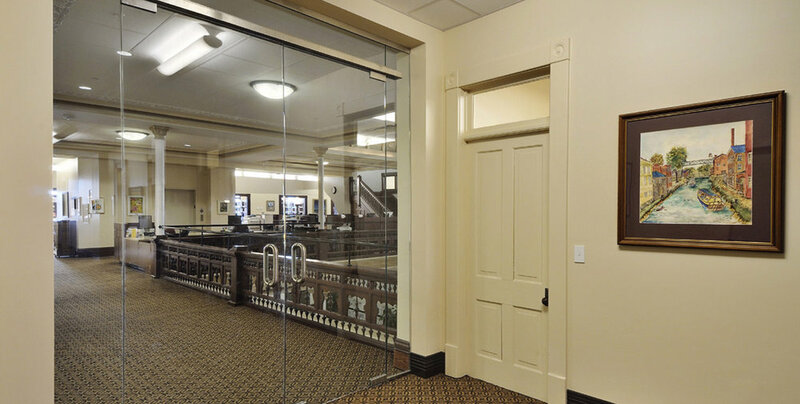 MKC provided full architectural, engineering and planning services for this project that renovated a circa-1891 Romanseque building in the heart of downtown Piqua into a stunning, state-of-the-art library facility. Formerly the Fort Piqua Hotel, the landmark structure had been vacant and in disrepair for many years, until a comprehensive renovation transformed the architectural gem into the library’s spectacular new home. 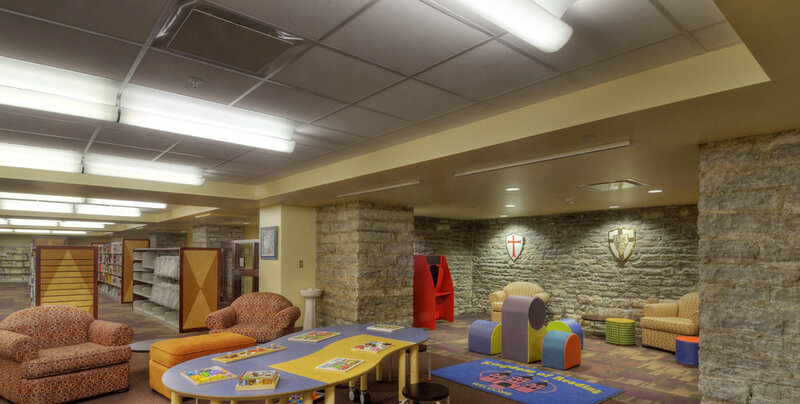 The first floor proved the most challenging as the design team was tasked with preserving a formal lobby with a fireplace, while at the same time inserting the main circulation area, circulation desk, and areas for new materials and media. Several of the original hotel rooms also serve as small meeting spaces. One of the rooms that was restored on the second floor is the “Presidents Room” and a corridor that had to be retained became an art gallery.